There are two key parts to the Total Victory Strategy. 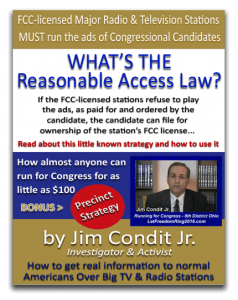 The “Reasonable Acess Law” inspired Radio Ads campaign, and the grassroots Precinct Strategy. Our mission is to teach millions of people in the USA how to TAKE BACK AMERICA from a clique of ruthless international Banksters and their unholy allies. We call this our Total Victory Strategy. We the people must understand that the only way we can make our influence felt, peacefully and constitutionally, is by using the Precinct Strategy (also called the Neighborhood Lighthouse Strategy) in the party of each one’s choice. Watch this video, “The Strangest Political Secret”, which explains how the Precinct Strategy works. We are working with other concerned Americans to build a system by which citizens can come together with others of like mind IN EACH COUNTY, and begin organizing on the ground to elect the majority of precinct executives IN their party of choice IN their county to oust the current county party Chairmen in the case of the Democratic and Republican parties, and to build strong party organizations in the case of constitutional-minded 3rd parties. In other words, we need citizen groups in each of the USA’s 3141 counties to be organizing behind the PRECINCT STRATEGY as a first step to take back America. In order to reach over the heads of the Big Media, we can run Radio ads on their own shows to reach their large audiences. 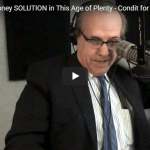 For instance, a person running for US Congress, US Senate, or President can use campaign money to put Radio Ads on the largest 50,000 watt FCC-licensed radio and TV stations. These ads can carry the very information which the Big Media is hiding from the public. For instance, we can run 60 second radio ads right in the middle of the Rush Limbaugh or Sean Hannity radio shows, reaching their millions of listeners. Such controversial ads cause the citizen to take notice and listen as they drive to and from work. At the end of each radio or TV ad, the candidate gives a website where a whole new world of information is opened up to new visitors. From there we can enlist interested citizens in the Total Victory Strategy, and try to take back the country via the precinct strategy and honest elections. 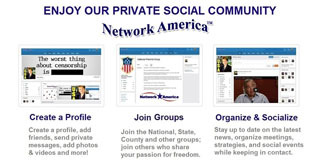 – then, endorse and nominate pro-liberty, pro-constitution candidates for offices from City Council to Congress to President, resulting in congressmen who are loyal to the Constitution and America – instead of to the anti-American, anti-Christian international Banksters and their operatives at the local level. – revitalized County Chairmen in the Republican and Democratic parties could then nominate pro-Liberty, pro-Constitution State Party Chairmen and National Chairmen, who will then institute fair rules for primaries, caucuses, and conventions for the Presidential elections, always respectful of the role of the grassroots delegates (the opposite of the criminal leaderships of the Republican and Democratic Party National Leaderships today). – Those who wish to work in 3rd parties, such as the Constitution Party or the Libertarian parties, can build such third parties right now. These “3rd parties” provide a voice for citizens after the primaries and presidential conventions — all the way to the General Election day in November. These 3rd parties don’t seem to want to face that they are checkmated for 1000 years as long as the International Banksters control the easily-rigged, computerized elections. But once the current FED-Goldman-Sachs-controlled Republican and Democratic party leaders (the Dems and GOP control EVERY county in the USA) are replaced, and transparent, honest elections are restored, — the 3rd party candidates will once again have a chance to win, not only here and there, but on a massive scale. – To teach millions of Americans to state publicly that we will not accept the results of any election if the votes were counted in secret on secret computer systems. – To teach millions of people to state publicly that the privately owned Federal Reserve Board must be replaced with an honest entity, such as a National Monetary Office, which operates under the authority of the Congress as mandated by the Constitution, and which issues constitutional, interest-free money to meet the needs of the business and commerce of the nation, and which operates in the open, and is audited by accountants both inside of government and from the private sector. – To teach people that, as stated by the late, former Congressman Jim Traficant, former Presidential candidate Patrick Buchanan, former Senator Friz Hollings, and former Congressman Paul Findley, – that Congress is powerfully controlled by the organized Jewish Lobby through such organizations as AIPAC (The American Israeli Public Affairs Committee), and that Congressmen and women must be nominated and elected who will throw off this extremely detrimental foreign control of our nation. As far as we know, no other effort or organization has all these elements in their strategy. No matter who else you will work, you should ALSO work with us. 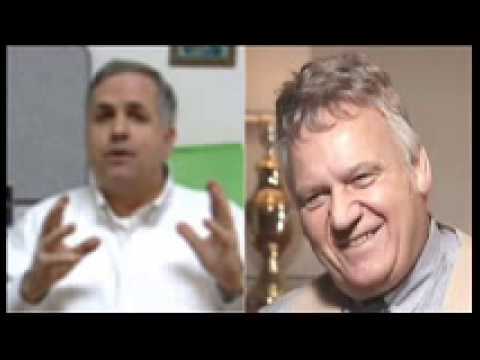 What a TRUE & Very Powerful Speech by James Traficant ! Knowing by the Truth alone by saying that No one other Politicians ($$$) tells us about the Israeli Lobby = NWO !